He began his broadcasting career when he was asked to join the BBC Grandstand team to work alongside Murray Walker for live outside broadcasts of national motorsport events through most of the eighties.He was studio host for Sky Sports live coverage of the American NASCAR and Indycar series in the early nineties and then returned to the BBC to present their World Rally Championship coverage. Away from television Tiff also entertains live audiences, firstly at the MPH Shows (that began in 2003) and now the Top Gear Live events in South Africa, London and Birmingham, alongside Jeremy Clarkson, Richard Hammond and James May. 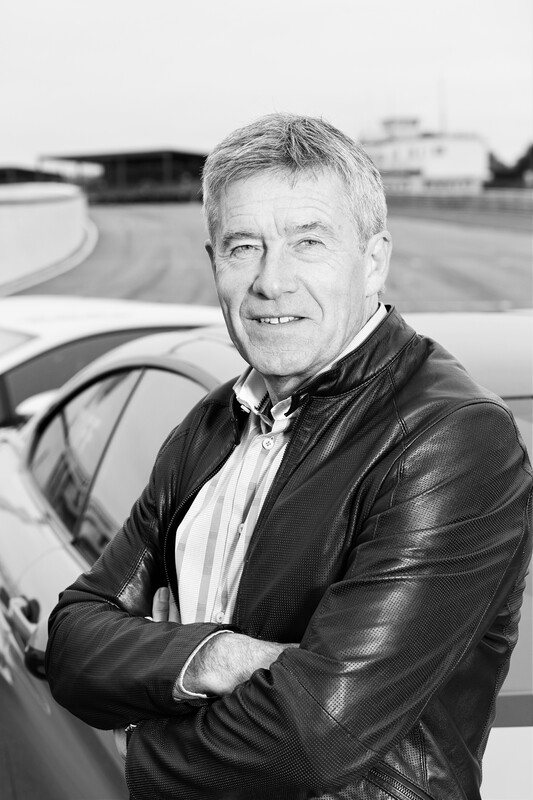 As a journalist he’s written for publications including Autosport, Top Gear Magazine, Autocar and Auto Express while he is currently a columnist and feature writer forevo magazine and has just published his autobiography entitled Tiff Gear. Tiff is a former Grand Prix driver and World Sportscar Championship veteran who made his Formula One debut at the Belgian Grand Prix in 1980 and from fourteenLe Mans 24 Hours starts had a best result of third in 1990.In a fairytale start he began his racing career by winning a Formula Ford Lotus 69F in an Autosport Magazine competition and then gradually rose through the single seater ranks to earn his place on the Grand Prix grid. He also raced Touring Cars, GT cars and even survived two outings in the British round of the World Rally Championship. Nowadays he still races whenever an opportunity arises and always looks forward to driving at the end of season Goodwood Revival Meeting. Born on 29th October 1951 in Havant, England, Tiff left school in 1969 with four ‘A’ levels and seven ‘O’ levels and went on to gain an Honours Degree in Civil Engineering at The City University. He worked as a structural design engineer for George Wimpey & Co Ltd before turning professional racing driver in 1977. Tiff is married to Patsy and has three sons – Jack, Harry and George.